At just 17, an Indian-origin student has earned admission to 14 top United States universities, including all eight Ivy League schools considered the most prestigious varsities worldwide. Virginia-born Pooja Chandrashekar decided to apply to all eight ivies hoping to get into just one of them. But now she has the choice to get into Harvard, Yale, Princeton, Cornell, Dartmouth, Columbia, Brown, and the University of Pennsylvania besides six other elite universities in the US, including Stanford and MIT. Pooja, the only daughter of two engineers who immigrated to the United States from Bangalore, got a SAT score of 2390 out of 2400, a 4.57 grade point average and aced all 13 of her advanced placement exams. The teenager has more than her academic achievements to fall back on. Besides the high score, what also boosted her application is enterprise, initiative, and creativity. The brainy teenager, who graduated from Thomas Jefferson High School for Science and Technology, a top-ranked magnet school in Virginia, has developed a mobile app that analyses speech patterns and predicts with 96 per cent accuracy if a person has Parkinson's disease. She is also the founder of an organisation that encourages middle-school American girls to participate in science, technology, engineering and math (STEM) programmes. Pooja said that she decided to apply to all eight ivies hoping to get into just one of them, "because college admissions are really unpredictable." "They are all fantastic schools, so I couldn't discount any of them...I wanted to make sure I could get into a really good school and have more choices," she told The Washington Post. She has narrowed her list to Harvard, Stanford and Brown, where she got into a programme that guarantees her admission to the university's medical school. 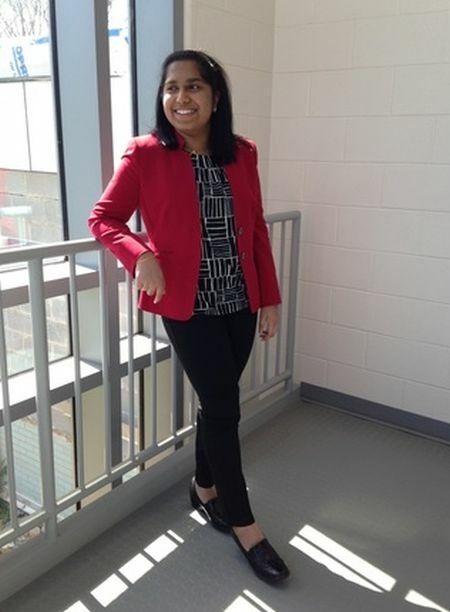 Pooja said that what sets her apart is her passion for promoting STEM among young girls. Her non-profit ProjectCSGirls hosts nationwide computer science competitions, "dedicated to closing the tech gender gap." She wrote one of her college application essays about being a woman interested in a career in computer science, a field long dominated by men. She said she was often one of just a handful of girls in her high school technology classes. "I want to encourage diversity in the field," she told the daily. Even with her lofty accomplishments, Pooja is like most other teenagers. She enjoys watching television shows like Shark Tank and listening to Bollywood music. She is also a fan of the Food Network channel and she said she is amazed by the chefs who show off their skills in the kitchen. However, it's one subject she admits she has not mastered. "I can't cook for my life," she said.